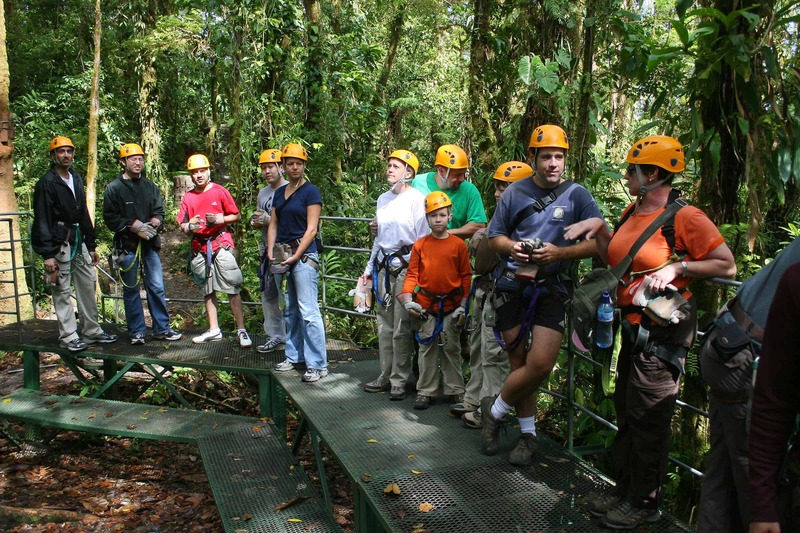 Things are looking up for the Costa Rican tourism sector and maybe Ticos looking for work in a tight job market, according to a new report released last week. Costa Rica’s world famous tourism sector is set to grow 5.8 percent during 2014, according to the latest economic impact assessment from the World Travel and Tourism Council. The jump is up from 4.6 percent of gross domestic product in 2013, some $6 billion. The report estimated tourism’s total contribution to the national economy added up to 12.1 percent of GDP in 2013 and prognosticated that tourism will make up 13.7 percent of Costa Rica’s GDP by 2024. Growth in tourism could be a boon to out-of-work Ticos. The WTTC estimates that growth in the leisure sector during 2014 will add 7.2 percent more jobs than in 2013, and 6.2 percent more to total employment. The travel organization estimates that Costa Rica could see the biggest bump in the Americas in 2014 for tourism-related jobs, far exceeding the regional average of 2 percent growth. The WTTC findings contrast with a survey from the National Tourism Chamber from January that said 70 percent of tourism businesses did not plan on hiring more staff during peak tourism season between December and April, despite anticipated growth. Costa Rica has the second highest uneployment rate in Latin America, behind Colombia, according to the United Nations Economic Commission for Latin America and the Caribbean. Unemployment in Costa Rica fell to 8.3 percent in the fourth quarter of 2013, according to the National Statistics and Census Institute, down from 9.8 during the same period in 2012. 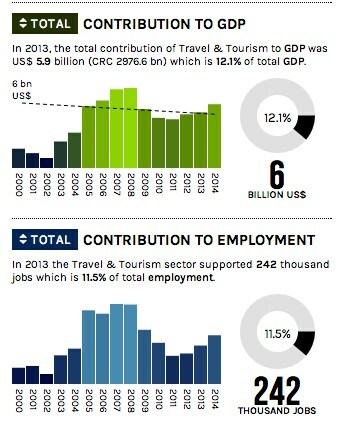 The WTTC estimated that tourism and travel-related industries account for more than 11.5 percent of jobs in Costa Rica. Costa Rica’s tourism industry took a hard hit during the global financial crisis in 2008, but has seen improvement since 2011. The tourism research organization also put some hard figures to something many U.S. travelers already know: Flying is too expensive. The report noted that U.S. passengers pay more taxes on their flights — 20 percent — than “sin” goods, like firearms (10 percent) or liquor (11 percent). The organization argued that the travel and tourism industry bears a disproportionate tax burden in the United States, an average of 14 percent, compared to manufacturing (4 percent) and health care (11 percent). The WTTC describes itself as a forum dedicated to promoting the economic impact of the travel and tourism industry.